The Beets BLU Key Finder Bluetooth 4.0 Wireless Pager Tag with Audio Alarm may have a hefty title, but at 9g it's light as a feather. Paired to your phone it can tell you where you left your keys and when your child has wandered too far away, and it can let you take a family photo by remote control. 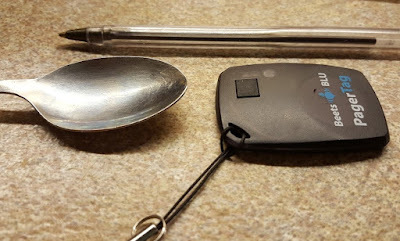 My partner has lost quite a bit of his memory since having Meningitis, so now he has the super-power to lose the car keys within 3 seconds of entering the house or arriving at work. 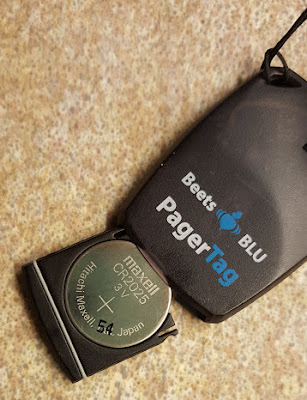 It's a bit frustrating and annoying, and so reviewing the Beets Blu Key Finder may just save my sanity. Irony notwithstanding, it took us 40 minutes to find the keys to attach the key fob. It was the happiest 40 minutes searching I've spent in years. 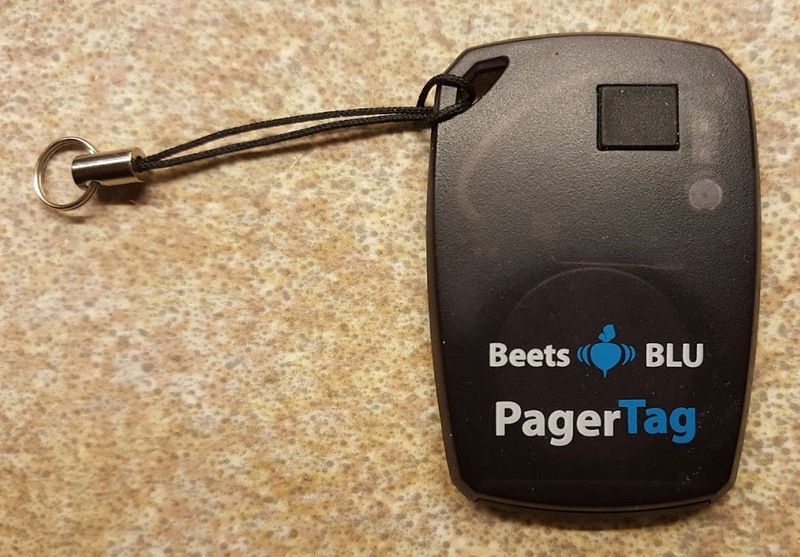 The Beets Blu PagerTag Keyfinder arrives minimally packaged for protection, but it's pretty sturdy and plenty strong enough to withstand living on a bunch of keys. It's also a really good size. Not too big or sharp, it's smooth and tactile, and not so small that you can lose it in your pocket. Downloading and setting up the app. 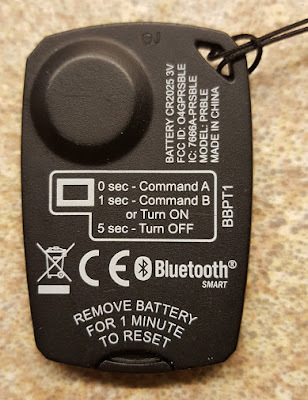 was really simple, and although the instructions were minimal, we managed to work out how to use the key fob really quickly. We had no problems with both of our phones (Samsung Galaxy S6 and Sony Experia Z 2) pairing with the Beets Blu Keyfinder. From the app. 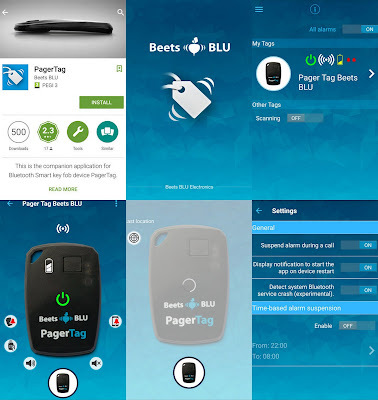 you can connect and disconnect, 'page' the keyfinder to set off an audible alarm and change a variety of settings. The keyfinder and/or phone can emit an alarm when they become a chosen distance away from each other, which is a great feature if you have anything you don't want to wander too far away - your bag on the train or toddlers included. You can also control your phone with the keyfinder making it ring or take photos! This is an awesome feature. I am never in any family photos because I'm always the wrong side of the camera, it's a bonus of the Beets Blu Keyfinder that really is a feature in itself. By default the app. stores the last known location of the keyfob, this is perfect. As soon as connection is lost (your partner leaves his keys somewhere), you can find where you were at the moment you parted, and as long as no helpful person has picked them up (or worse), you can go back and fetch them. Beets Blu reckon the battery can last up to a year, but it's possible we have a dud as ours has only lasted 2 weeks. It's also possible that it's only lasted 2 weeks because we're having issues with it losing signal to my partners phone. Sometimes the distance alarm will detect loss of signal and go off when my partner has the fob in one pocket and his phone in the other. It's a bit disappointing. Obviously by not keeping the keys in his trouser pocket we get better signal and we've turned the distance alarms off, but that was a real loss as it was useful to my partner as he walked around offices at work (probably leaving behind everything except his keys). A great idea which needs a little bit of polishing to be brilliant. Still definitely worth the £20. Notice for Android users: Before purchasing this product, please download the following free app and ensure that it runs properly on your device without any compatibility issues. Link lost distance varies, depending on conditions. 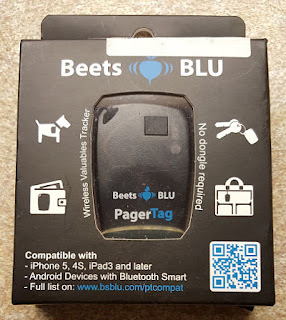 We were sent our Beets Blu Bluetooth Keyfinder for review.